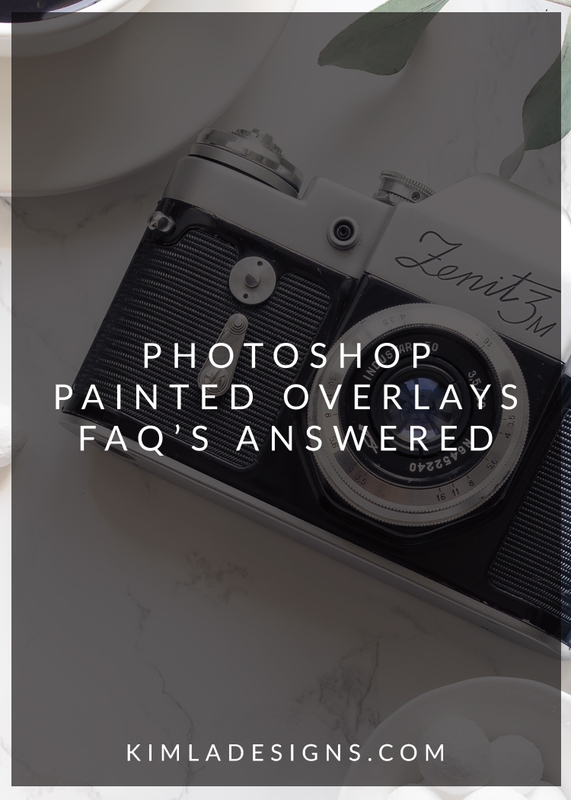 In this post, I will try to answer few frequently asked questions about our Painted overlays and give you few tips which should be helpful when using them. 1. Why these overlays are called ''painted overlays''. When we created our first pack of painted overlays we thought that this will be the best name. Each of your overlay has been digitally painted, there are many layers of colours, some elements created either with real petals, flowers or leaves or painted in Photoshop. We had this idea of creating very easy to use tools that would help to achieve rather complicated, painted effects. We created them pixel by pixel so you can create this unique, artistic look. Each painted overlay is a mix of realistic elements, soft, delicate borders or colour tonal overlays. You can be really creative with them and like an artist painting on the canvas you can paint new, beautiful effects using Photoshop. 2. What software do I need to be able to apply painted overlays? All our editing tools have been created with Photoshop CC but can be easily used in any software supporting layers - PSCS+, PSE, Gimp and many more. 3. How to hide some parts of the overlays from the photo? I like to add new layer mask over painted overlay and simply mask off these parts I like to hide. I'm always using a very soft brush. 4. Can apply few overlays in one photo? Yes! These are creative tools, so you can mix and match few overlays, change colours by using hue and saturation tool, change the opacity of the layer, anything goes really. 5. Can I use these overlays in my studio work photos? 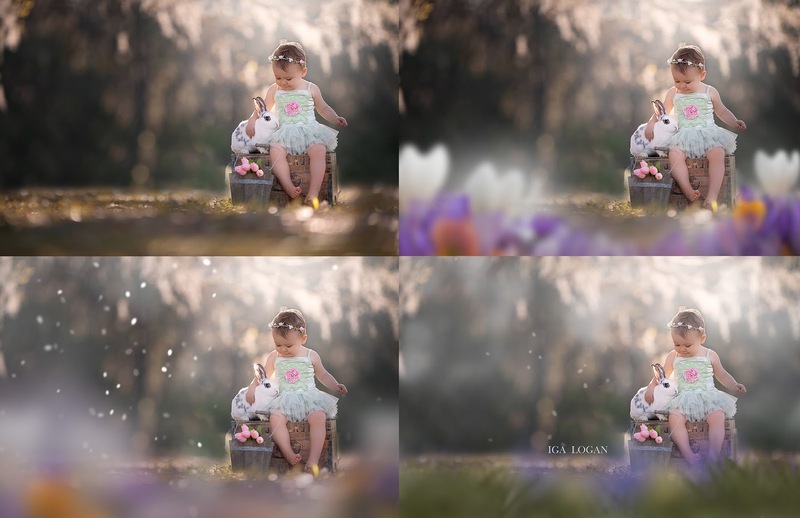 If you feel that these overlays will help your photos from the studio session go for it, however, we created them mainly for the natural light, on location photos. There are Painted Meadows pack, Painted Leaf Overlays, Painted Summer Overlays to name only a few. They work best with photos with shallow depth of field, which has been clean edited and colour corrected first. So if you are planning to purchase any overlays from this collection please have these in mind. These are just tools and what will work with some type of photos it can be good for other. You will find many before & after examples + product previews in our shop, please check them out. 6. I'm not familiar with painted overlays, do you have any tips? Be creative and don't be afraid to play with these overlays. Think about them as an addition to your photos only, little extra something which makes them unique. 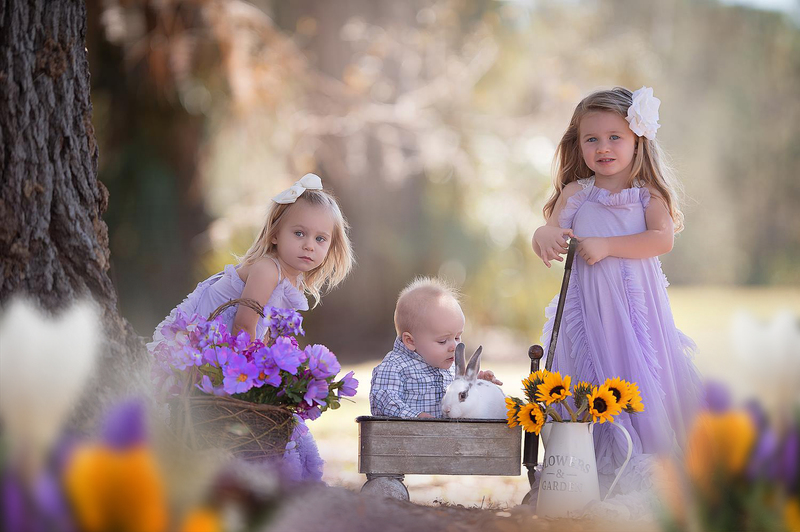 Always keep colour palette of your photo in mind and try to match painted overlay with it. Think a rather soft look than harsh and heavy edit. Please let me know in the comments if you have any questions about Painted Overlays. Learn more about our Collection here. 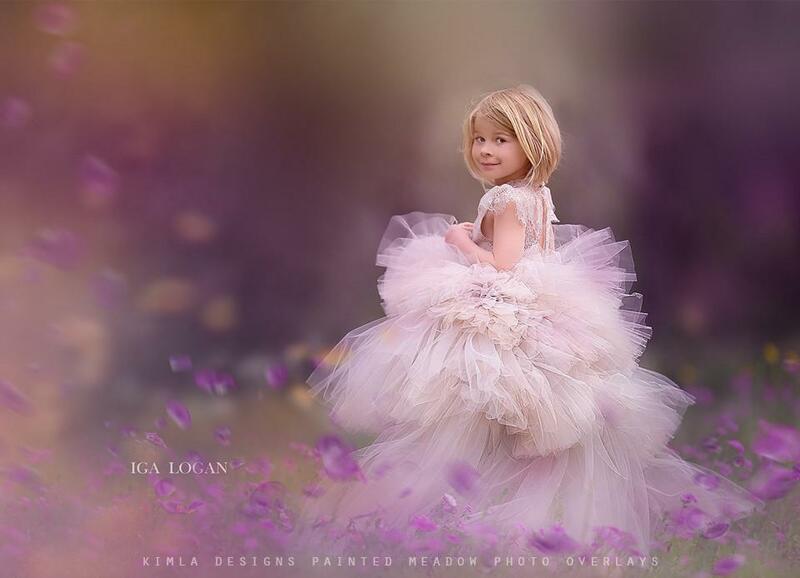 Thank you Iga Logan Photography for beautiful photos in the previews.